Spousal maintenance issues following divorce continue to dominate my post bag. In particular: the automatic variation of maintenance following a divorce financial order by reference to the RPI. What has been genuinely illuminating to me as a family law specialist is the extent to which there is boundless room for confusion over the interpretation of a maintenance order, whether spousal or child support. The details provided by John made it clear that he had been paying the maintenance ordered by the court but, for whatever reason, the link to the RPI which was intended to increase the amount of the maintenance each year, had gone by the wayside. So, the sum of maintenance approved by the court in the original order has not been increased, as was intended by the order, for three years. John and his ex cannot agree how the shortfall created in the past is calculated or applied so they can get back on track. I suggest the art of the practical. Strictly speaking, the non-payment of the inflation-linked increase each year constitutes arrears. 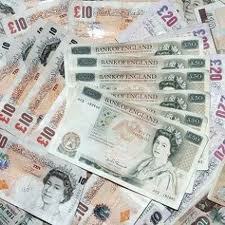 For example, let’s say the original sum ordered by the court is £1800 per annum. At the first year anniversary the application of the RPI link, if it is applied, would have increased the original sum. Let’s imagine it is by £150 per annum. So the second year sum of maintenance is £1950 per annum. Upon the second year anniversary let’s imagine the RPI increase is £250 per annum. The increased sum paid is therefore £1950 plus £250 = £2,200. Continuing on this path, the third anniversary is (let’s say) an increase of £400. That is, £2,200 plus £400 = £2,600. I have laid out below how the missed RPI increase every 12 months would accrue following an original order for maintenance. So, by month 48 the arrears would be £1350. This needs to be paid by John to bring the maintenance up to date. If John refused, his ex could apply to the court to enforce the non-payment and ask the court to fix the payments at the correct level for month 48. However, where there are arrears that are more than 12 months old, John’s ex would need to ask the court for permission to recover these older arrears. John may ask the judge to remit (waive) the arrears older than 12 months. In reality, the legal costs of going back to court would be prohibitive if there is no access to legal aid, and it would be stressful. Better, surely, to fix the correct amount at month 48 so it is at the right level going forward and prevents any further arrears building up. Then, the older arrears could be paid in a series of lump sums over the next year or 18 months. So, divide the arrears by 12 or 18 and add on to the present monthly payments of maintenance. Remember, if John and his ex are finding it hard to negotiate the precise way to get themselves back on track, they could consider a mediation session to help them get it sorted. One session should do it.